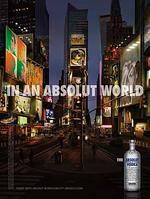 TBWA/Chiat/Day, New York acts as guiding hand behind Absolut World, Absolut Vodka's newest global campaign in 25 years. In the ad at left, media messages on Times Square have been replaced by art. Yeah. 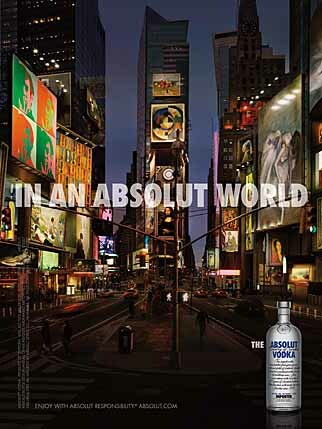 Because when we're soaked in vodka, that's all we ever want to see.